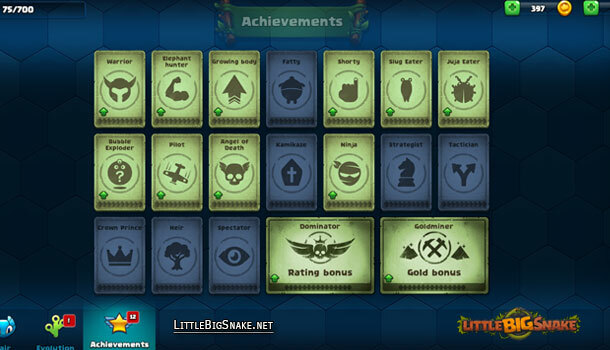 There are so many awesome achievements that you can try to obtain in Little Big Snake. If you survive in a combat longer, and you are an excellent player, the chance for you to get the achievements is very high. All of the achievements, such as warrior, elephant hunter, growing body, patty, shorty, slug eater, juja eater, bubble exploder, pilot, angel of death, kamikaze, ninja, strangest and more, are the great ones that should be earned. You should try to finish them all then get rewarded for them. Good luck! Little Big Snake Friends and Rebels!